In recent weeks, my son has become obsessed with the idea of building a zip line in our backyard. To me, it sounded like a cockamamie idea–one of his crazy projects that would soon give way to plans for building a hammock out of rope or breaking the record for the world’s biggest rubber-band ball. We ignored it for a while, but he persisted. He researched. He measured. He sketched. He plotted. He decided he could build a better, cheaper version of the kits sold online. Finally he persuaded my husband to take him to Lowe’s, where he spent $180 of his own money on 150 feet of quarter-inch steel cable and other hardware. They spent hours in the backyard, figuring out how to string it up, sinking eye bolts into various trees and bickering occasionally about what was feasible. Once the wire was hung, my husband tired of the project and wandered inside to check his email. But my son stuck with it. He and a pal built a wooden platform 15 feet off the ground in a maple tree to serve as the starting point. Then he hit a roadblock: we couldn’t find a local store that carried the ball-bearing trolley needed to slide down the wire, so had to order it from Amazon. Delay of game: two days (free shipping). When the trolley arrived, he hitched up his rock-climbing harness and did a few test runs from halfway down the wire, then two-thirds, then three-quarters. He picked up a fair bit of speed and nearly crashed into the tree at the end. So he devised a brake system: a rope attached to the harness that a “spotter” would pull back on–hard–if the rider appeared in danger of losing life or limb. My older daughter served, gamely, as the first spotter. As her brother jumped off the platform and hurtled down the wire, she planted herself with the braking rope firmly between her palms. But as he flew past her and neared the tree at the end, the rope slithered forcefully through her hands, causing a blistering burn–and stopping him just in time. She went inside for ice. 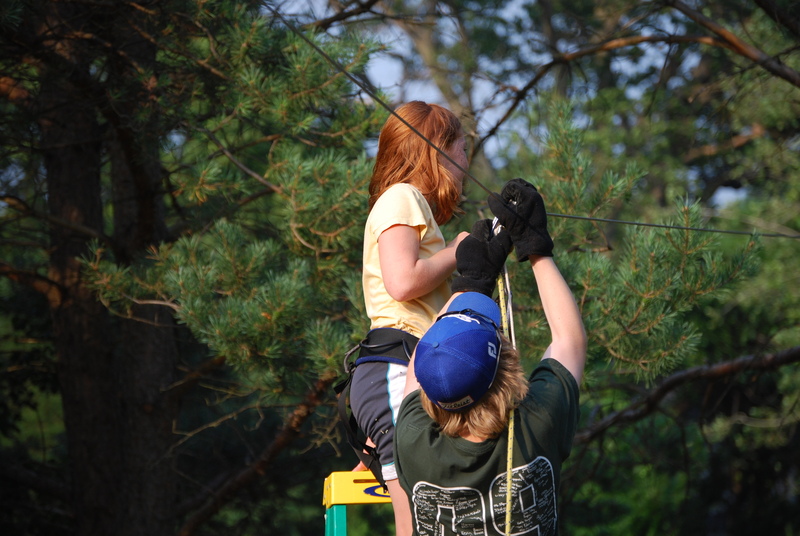 At this point–now that I knew the zip line wasn’t going away–I became invested in the project. I agreed to be his anchor on the second run, and donned work gloves in order to save my hands along with my son’s life. But I wasn’t prepared for the sheer velocity of his ride, and as I clung to the rope, the force pulled me down and dragged me a few feet across the grass, skinning my knee. Zip line two, family zero. With his work crew hobbled, my boy came up with a new plan: he tied the braking rope to a nearby tree so that it would stop the rider, not too abruptly, just short of the end of the line. Testing it out on baby sister. It worked. 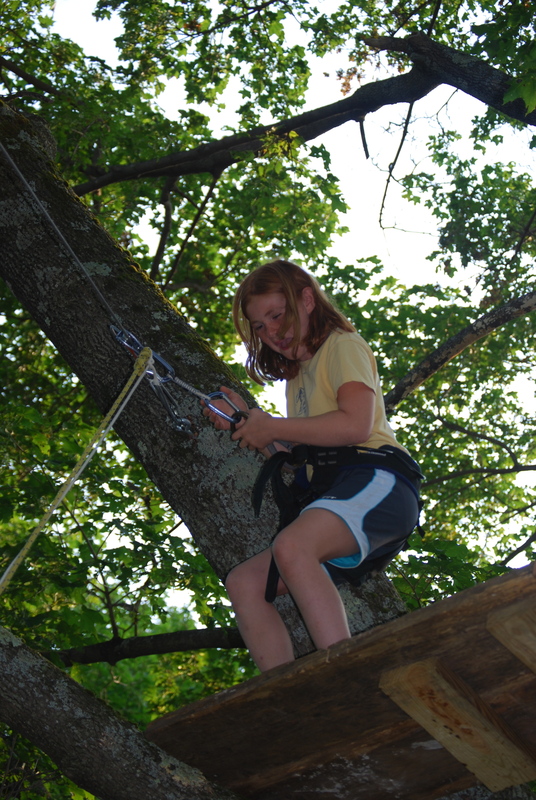 The kids and various friends spent all weekend happily riding down the zip line. 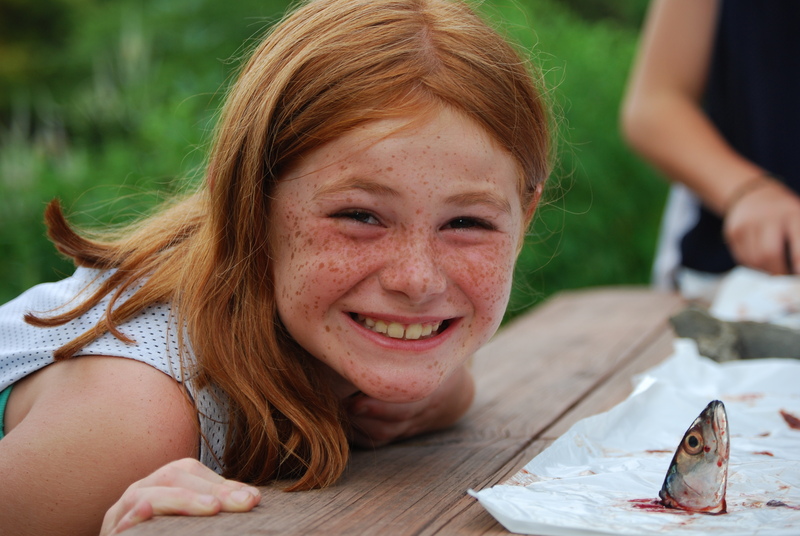 I have not tried it yet, but I plan to–as soon as my knee heals. Once again, my son proved that he is capable of great ingenuity, patience, commitment, and perseverance–just not necessarily on his homework. 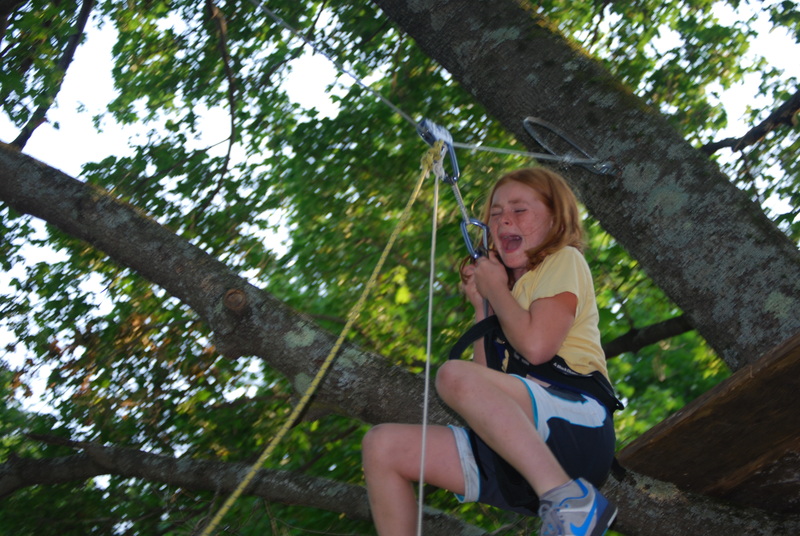 But if the middle school ever needs to install a zip line, nobody will do it better. 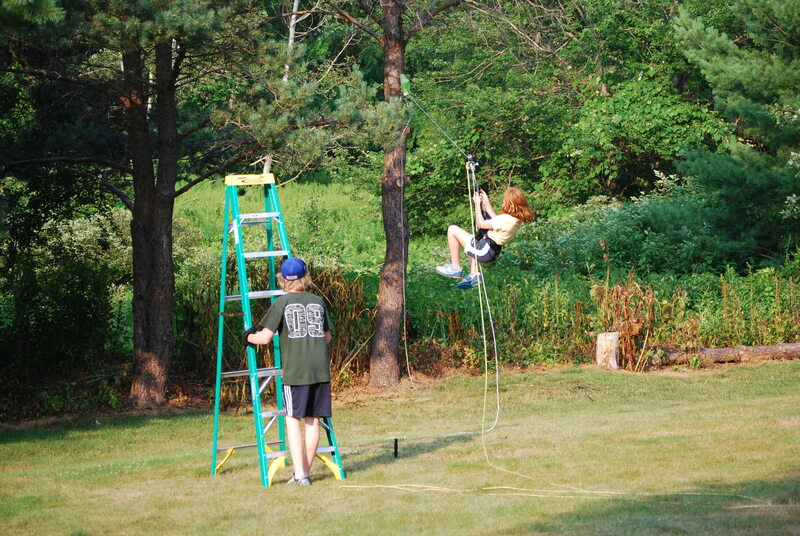 This entry was posted in Boys will be boys, Parenting and tagged home improvement project, teenage boys, zip line. Bookmark the permalink. That sounds just so cool that I wish I’d thought of it about 30 or so years ago. Come to think of it, when I leave Vietnam and return to North Carolina, I’ll have lots of acres and lots of trees. Hmm. Let me know if you need any help; I can put you in touch with our resident expert.